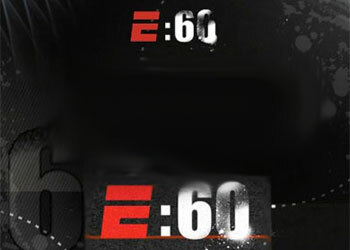 Initially intended as a piece to promote the world’s fastest growing sport, UFC president Dana White feels that last week’s edition of ESPN’s E:60 focused on the negative aspects of mixed martial arts and the UFC. What the brash Prez is trying to say is that anytime there’s an opportunity promote the sport and all its richness, for some reason it turns into a bash-fest. ”Dana has never told me anything that ended up being the truth, besides the fact that his intention was to crush other people’s lives and businesses,” said Miletich, who was once the UFC’s welterweight champ and now makes his living as a trainer. Which promoted White to respond the only way we knew he would. In addition to chatting with Miletich, ESPN corralled an all-time White favorite, former UFC light heavyweight champ Tito Ortiz. The UFC’s former employee immediately slammed White for his reluctance to flip the bill for a back surgery that Ortiz claimed was directly associated with his 11 years of service with the company. White is right on this ESPN thing. They had a golden opportunity to use exclusive access to the UFC and its head honcho to accelerate the growth of the world’s most violent sport, however they chose to focus on the select few that have been shafted by White and/or the UFC. What’s the alternative to MMA, boxing? Of course people never get screwed in that “exciting” combat sport.